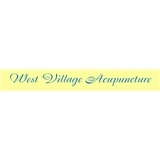 West Village Acupuncture (New York) - Book Appointment Online! This practice does not accept insurances. Elizabeth is so knowledgeable, kind and warm. During the time she was treating me, going to her office is a treat I would look forward to every week. AND I felt better.